Data Infovision recognizes your right to confidentiality and is committed to protecting your privacy. Data Infovision is the sole owner of the information collected on https://www.datainfovision.com We will not give, rent, loan, or sell any identifiable personal information to any other third party, unless legally required to do so. We may store and process that information to better understand your needs and how we can improve our products and services. In addition, we may use that information to contact you. All information displayed, transmitted or carried on the Data Infovision website (including, but not limited to, directories, guides, news articles, opinions, reviews, text, photographs, images, illustrations, profiles, audio clips, video clips, trademarks, service marks and the like, collectively the "Content") is protected by copyright and other intellectual property laws. By accessing the Data Infovision site, a user agrees not to modify, publish, transmit, transfer, sell, reproduce, create derivative work from, distribute, repost, perform, display or in any way commercially exploit any of the Content. You agree to abide by all copyright notices and restrictions attached to any Content accessed through Data Infovision website, not to alter the content in any way. The Data Infovision website contains facts, views, opinions, statements and recommendations of users of the Data Infovision website, advertisers, third party information providers and organizations. The Data Infovision website does not represent or endorse the accuracy, completeness or reliability of any advice, opinion, statement or other information displayed, uploaded or distributed through the website. You acknowledge that any reliance upon any such opinion, advice, statement or information shall be at your sole risk. 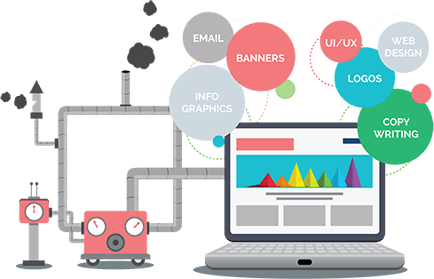 We are experts in innovative web user interface designs, carefully planned website development, E-commerce solutions, and web based applications. 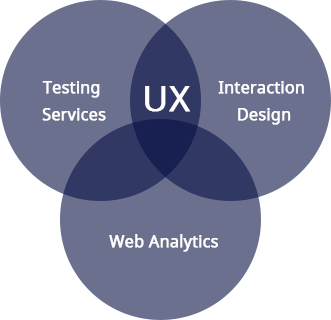 User Interfaces (UI) and User Experience (UX) are key ingredients of a successful web-application. We have extensive experience in UI/UX with unique homepage layout and interface designs. Initially the web designers focused more on creating beautiful designs with a sole purpose of making the web-site attractive. 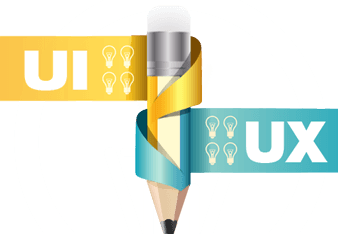 As the Internet evolved, this focus gradually shifted from attractiveness towards usability of websites as the websites became Interactive, an extensive part of current web trend i.e. web 2.0, transforming the passive viewers into active users. The new age websites are completely user centric. The average time spent by users on a webpage is largely determined today by its quality of interaction with its users. 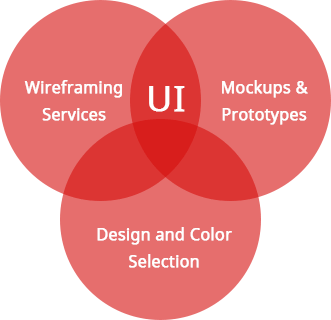 Hence UI UX design has become the most important factor in today's world. Make your business unique and instantly recognizable! Business logo design is one of the most important aspects of your branding process. Your company's logo is the symbol that has the power to represent your business and most of the time the first thing which catches the attention of your potential customers. A powerful and efficient corporate logo design will help to make a lasting impression on your customers, leading to more business and goodwill. Corporate logo design is an important phase of your business and it must never lose the professional feel as well as should help you to distinguish your brand from the rest of the competitors. A corporate logo design must look attractive without colour as well. Nowadays, it's indeed challenging for any business to break through the clutter and reach the target audience. Brand image building and brand positioning have become imperative marketing strategies. However, to create a lasting impression of your brand and induce brand loyalty, you need captivating communication means. Visual communication is an effective tool to convey your brand image and DIPL provides you with graphic design services that are bound to enhance your brand visibility. Our focus is on illustration, which we believe is the right combination of culture and art. Our teams of artists are specialists in taking your con-cept and visualizing it according to your thoughts so you can get the perfect graphic illustration. We want to make sure every business we work with has a polish presence on the Internet with a clear and unmistakable identity. Our artists can get their ideas from descriptions or they can come up with a conceptual design from representative photographs. If you have a concept that is difficult to explain or present then our custom designed illustrations can help make it easier. Through illustrations, you will be able to enhance individual's understanding of the concept, create context or even attract someone's attention to your business. In today digital world product advertising is the most effective way to show your services. A promotional video is one of the effective ways to advertise your product and services. Those days are gone when TV ads and radio campaigns resulted in the most sales. By using our video pro-motion service you can easily get real-time results and you will see people are watching, buying or downloading whatever product or services you're selling or promoting. 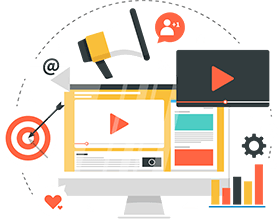 Our video promotion services include on-line exposure of your videos via using YouTube, Myspace Facebook, Twit-ter and Google video. Our banner ads services include online advertising of your website via display ads, banner ad-vertisement creation, and optimization of CPM to maximize ROI. We help our clients in creating effective display ad campaigns on Google Adwords as a part of search engine marketing ser-vices. We can help in improving your display ad performance by designing interactive color schemes for your brand. We run ad tests of different display ad types and designs to discover best performing ads for your business. We offer display advertising solutions including key-word based placements, behavioral targeting and re targeting. We fulfill our client's display advertisement needs by communicating with publisher and relevant industry sites to reach exact audience. Every business organization, whether small or big, desires to cut a niche in the commercial market. Corporate identity design helps build brand image; a solid brand image successfully etches a company's product and services in the minds of its users and potential users. A strong corporate identity augments your company's presence in the market. It differentiates your business from other similar businesses and makes your competitors stand up and take notice. A company with estab-lished corporate identity taps more target audience and creates lon-ger-lasting impressions on consumers than companies without. DIPL is a leading graphic design company specializing in logo design, en-velope design, letterhead design and business card design. We uphold your corporate culture and enhance your company's public image through our various corporate identity design services. Brochure design service at DIPL help business firms of all sizes and industries to convey their message with professionally design brochure & catalogues, adver-tising material and newsletters. Whether you need a mailer design, a flyer design, trl-fold brochure, sales brochure, marketing brochure, training manual, booklet, pocket folder or a catalog design service, we have the expertise to deliver professional brochure design within your timeframe. It is said that a flier gets less than ten seconds to please its viewer i.e. © Copyright © 2009-2018 Data Infovision.